Camera Cable. BNC Male and 2.1mm Male / BNC Male and 2.1mm Female. length: 60ft. For low power consumption cameras only (dome camera; box camera). Not recomended for IR cameras or cameras with over 300mA power consumption. Camera Cables and adapters are required to facilitate security camera connections. We have all kinds of camera cables and adapters available at SF Cable. 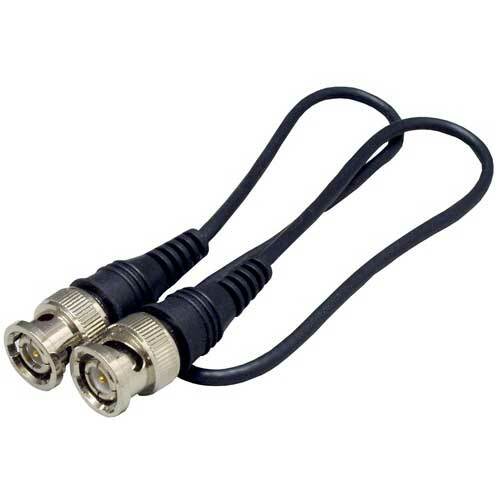 Our range of camera cables and adapters include Male to Male mini coax patch cables in different lengths, Female DC cords to terminals block transformer plugs, Male DC cords to terminals block transformer plugs, 2 DC power cord splitters, 4 DC power cord splitters, and others. SF Cable brings all the products to you directly from ISO 9001 - 2000 registered manufacturers to ensure that you get the highest quality of products at the most competitive prices. Customer satisfaction and seamless technical support is the ultimate goal of our store.